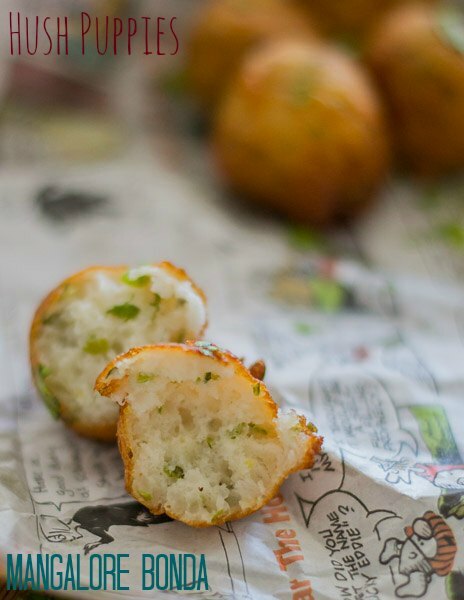 Mangalore Bonda – Goli Baje. 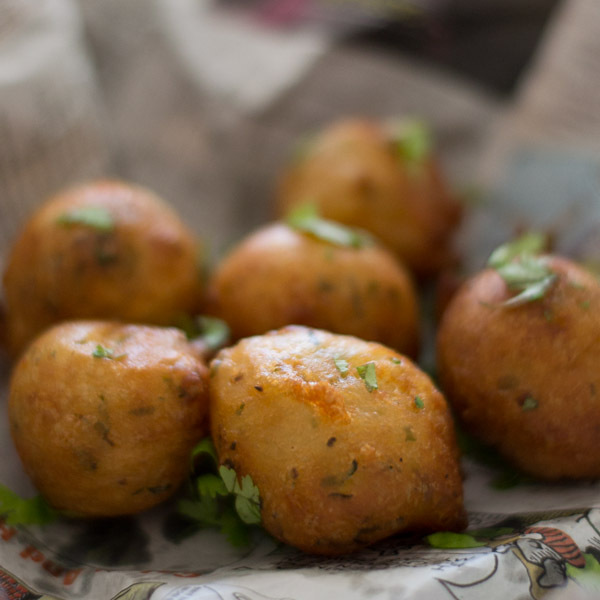 Recipe for crispy deep fried South Indian Karnataka Mangalore Bonda / Goli Baje – Bajji. This Maida bonda made with curd can be put together in minutes. With step by step pictures. We have a rule in the house. Deep fried something once a month on a sunday. Its been extremely cold this year in Bangalore. Deep fried anything is welcome. Mangalore bonda on a lazy sunday evening. Bring it on. 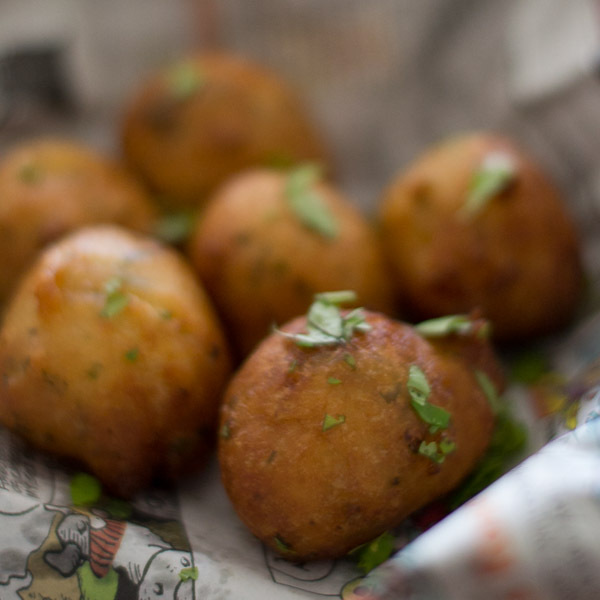 Mangalore bonda is crispy on the outside, soft on the inside and perfect for a cold winter evening. This is a very easy to make recipe and its a winner. 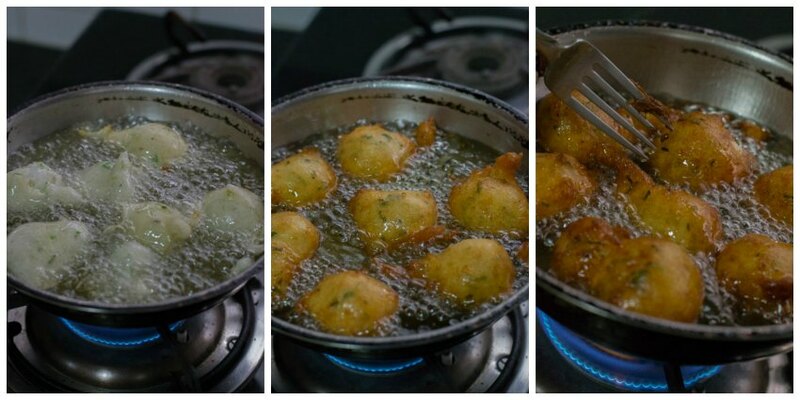 Here is how to do this yummy Mangalore Bonda. We call this as Maida Bonda too. Measure 1.5 cups of all purpose flour / maida and 1/4 cup of rice flour. This little amount of rice flour helps in crisping. Add in the salt, asafoetida and crushed pepper. Add in very finely minced ginger, finely chopped curry leaves, finely chopped coriander leaves and finely minced green chillies. 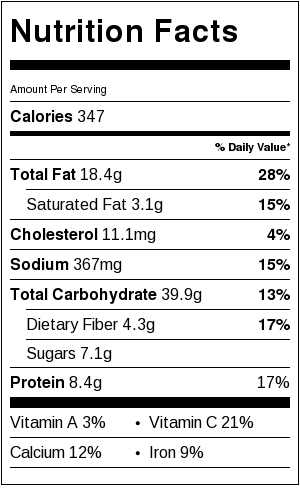 I also add a tablespoon of sugar. This small addition of sugar helps in browning of the bondas. Add in 1.5 cups of yogurt / curd and beat well to form a smooth batter. 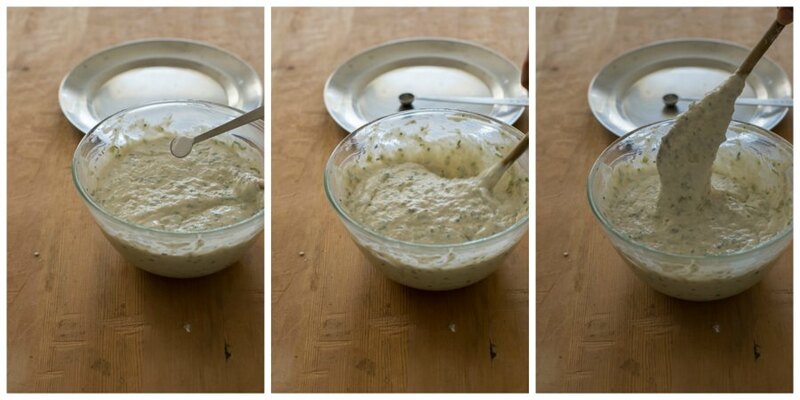 Add more yogurt if necessary to form a thick batter. If the batter is very watery, add little more maida and rice flour. Keep beating for couple of minutes until a very smooth, thick batter is formed. Rest the batter for 30 minutes up to an hour. Once the batter has been rested, add in 1/4 teaspoon of baking soda and mix thoroughly. It should be a thick batter. Heat oil in a kadai until medium hot. Add a small piece of the batter to check if the oil is ready. 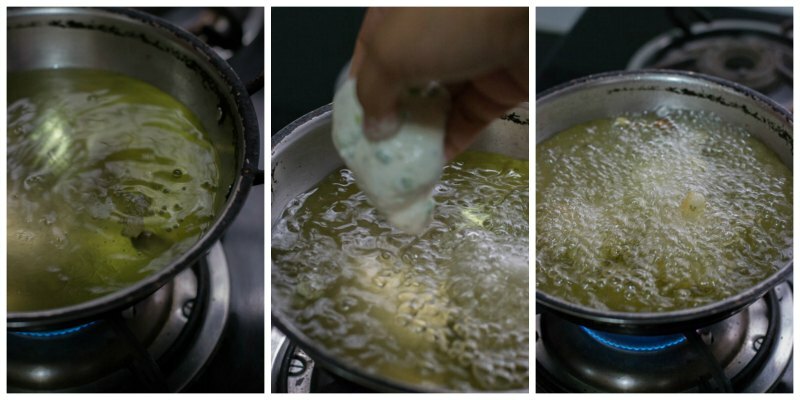 The oil is ready if the batter floats immediately to the top. If not wait for a minute more. Add in small scoops of the batter to the oil when the oil is ready. Keep turning the batter balls so the batter cooks evenly on both sides. I use a fork to turn the batter. It works so well. Deep fry until its golden. Remove and drain on paper towels. This Mangalore Bonda has to be served hot. It loses its crispness when it cools. 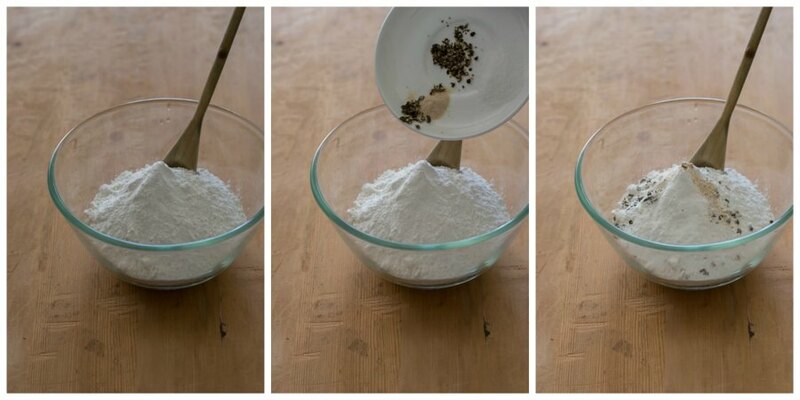 Measure 1.5 cups of all purpose flour / maida and ¼ cup of rice flour. This little amount of rice flour helps in crisping. Add in the salt, asafoetida and crushed pepper. 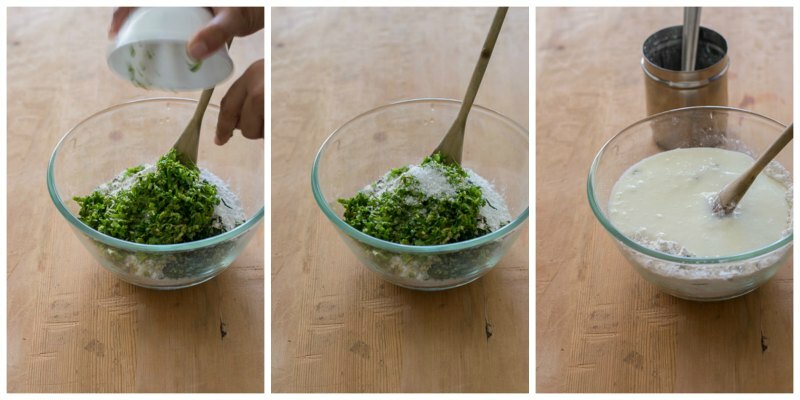 Add in very finely minced ginger, finely chopped curry leaves, finely chopped coriander leaves and finely minced green chillies. I also add a tablespoon of sugar. This small addition of sugar helps in browning of the bondas. Add in 1.5 cups of yogurt / curd and beat well to form a smooth batter. 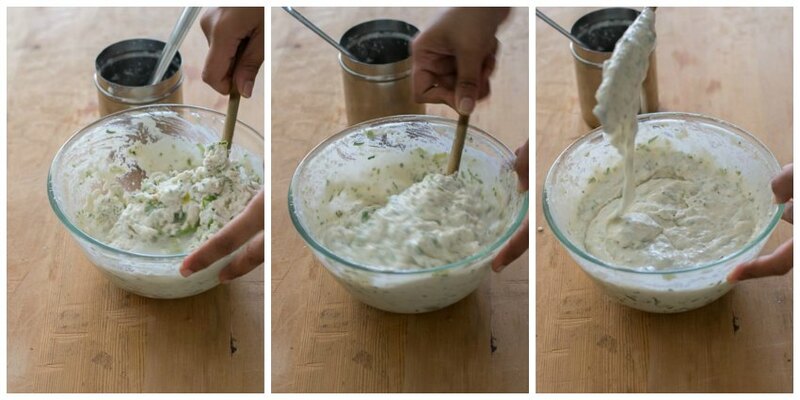 Add more yogurt if necessary to form a thick batter. Keep beating for couple of minutes until a very smooth, thick batter is formed. Rest the batter for 30 minutes up to an hour. Once the batter has been rested, add in ¼ teaspoon of baking soda and mix thoroughly. It should be a thick batter. can we use sour curd or only fresh curd? How can I make it without curds ? No need to add water for this Mangalore bondabonda? Curd is enough. No water. Thank you for the excellent receipe. I tried today came out very well. Thank you so much. Really glad that you liked it! Thats so nice Vijayalaxmi. Really glad that you liked the recipe. 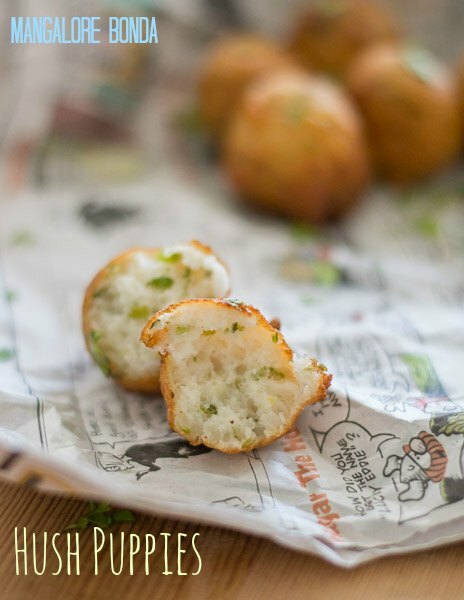 let us know how you like mangalore bonda! Really glad you liked the recipe. Thank You! I’ll let u know how it turns out for me. Your site is simply very nice…loved all your recipes…. I am also from same place cbe and now live in Texas,one day I found ur thakali kulambu from that day onwards started searching ur blog I am ur fan of pondu kulambu,mangalore bonda,doing good and all the best and post our kongunadu receipes. something diff abt ur blogs n ur page jst loved it am gonna be a fan fr ever now! Thank you so much Raghu. Your comment means a lot to me! Mangalore bonda, maida bonda, mangalore bajji, goli baje, goli bajji , udipi south canara….Yummy tea time snack. very well. My three years daughter just loved them. Any recipe comes out perfect with your detailed explanation. Thank you very much.